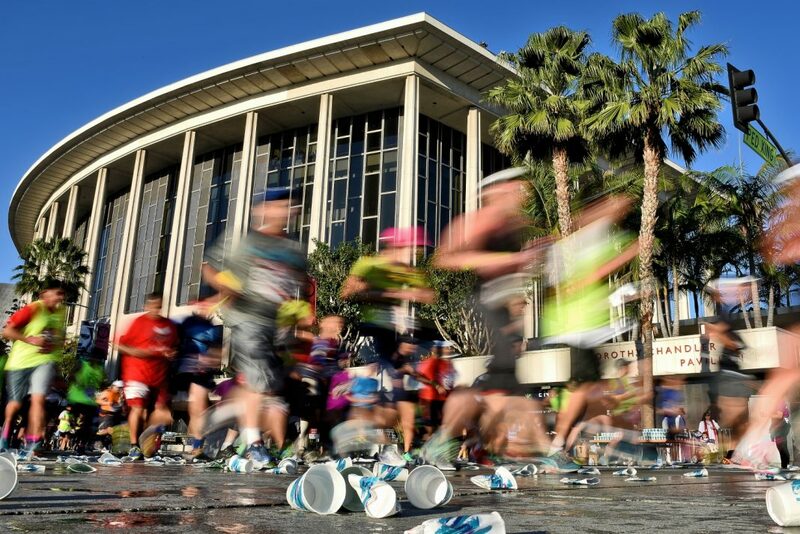 AT 10 p.m. tonight, more than a day before other competitors start the race, Adam Gorlitsky will begin the Los Angeles Marathon. If all goes according to plan, he’ll finish the race in about 36 hours—and set a record in the process. Gorlitsky, 32, is paraplegic, and he’ll be competing in the race using an $80,000 robotic exoskeleton. He’s aiming to be the first American paraplegic to successfully walk 26.2 miles and also break the record—currently 36 hours and 37 minutes—for the fastest marathon time by a paraplegic. Doing so would mean besting the current time by his arch nemesis, a 34-year-old British man named Simon Kindleysides who walked the London last April using an exoskeleton. Gorlitsky first tried out the 60-pound exoskeleton, made by a company called ReWalk, in 2015. Designed by an Israeli engineer, it uses two motorized leg braces that the wearer activates by throwing his or her weight onto low crutches. For the first two weeks of using it, Gorlitsky could do no more than stand, using muscles he hadn’t used in years. “Suddenly,” he says, “I went from a seated four foot nine to a standing six foot one. After 10 weeks, he was able to walk around the block. There are only about half a dozen people using the device for long-distance races, and the rivalry between Gorlitsky and Kindleysides, who is said to have a superior control of his core using the exoskeleton, is intense.